Someone famous in the music scene, with whom we've been emailing, has mentioned Amouage Gold as the fragrance fit for an Oscars night. Not just wearing it in the audience, trying to steady one's shaky hands by resting them on the posh couture gown, but presenting. 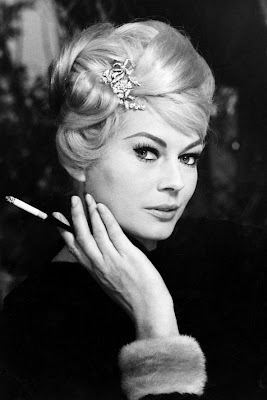 There just isn't any stage fright or wavering about Gold; it wears itself like a grande-dame, assured, polished, dramatic. This is a regal fragrance for a cool blonde of another era. Amouage, the Omani firm who cater for the Omani royalty and those with a taste for French fragrance structures in Middle Eastern settings, went out of their way to make Gold, their first fragrance, sumptuous and fit for a queen; not a princess. Top perfumer was ushered in (Guy Robert, who gave us Equipage, among the most perfect men's scents, and the once wonderful Dioressence which my own mother so loved); the best ingredients were specifically harvested; no budget restrictions were made whatsoever; no focus groups. You'd have to envy the lucky perfumer who worked thus unrestrained. The year was 1983. At the time Amouage didn't benefit from the creative direction it has nowadays and the fragrance circulated simple as Amouage for women. Robert considered it the crowning glory of his career and characterises its dramatic progression as "symphony". You might have witnessed Amouage Gold for women uttered in the same breath as Chanel No.5. As you would expect, given Guy Robert's credentials (he's the creator of Madame Rochas and Hermès Calèche) and the general mad rush Middle East has for Chanel (they're mad about Chanel), this isn't far off the truth. Yes, Gold is an aldehydic floral, in the general ballpark of No.5, a tad heavy-hitting and old-school (in a good way), lush, opulent and very luxurious, which uses traditional Omani ingredients re-adjusted in a classic French blueprint. If I were to be more specific, I'd say that Gold for women more resembles the hypothetical child of Lanvin's My Sin (long discontinued) and Houbigant's Quelques Fleurs (now sadly reformulated). But if you only know Robert's famous aldehydics I mentioned, you get an idea of how Gold smells: I need to stress that in order to like it, you have to like fragrances in the floral aldehydic family (refer to this article to see what aldehydes are and here for reviews of aldehydic fragrances). 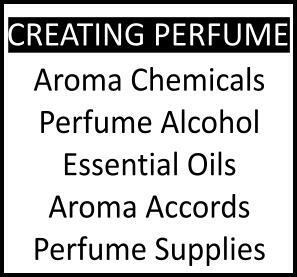 And you might be questioning why splurge (50ml/1.7oz will set you back 285$) on a bottle when there are other things smelling like it. Good question! But somehow God is in the details and Gold appears richer, more opulent than any of them. This thing radiates off skin for hours and hours on end, it just won't go away; a bottle will probably last you more than any of us is expected to make it in sane mind. The start of Amouage Gold for women is all powdery-soapy floral, much like the archetypal aldehydics of yore; golden honey limbs, falling on a dozen silk cushions. There's a clean vibe with lily-of-the-valley green floralcy, while at the same time you're miles away from the modern "clean" scents of laundry detergent & fabric softener. The fruity aspects are intergrained like brushstrokes in an impressionist painting; from a little distance it all mingles into a composition rather than individual shapes.The floral part is built on the intense chord of jasmine & ylang ylang that we also find in Chanel No.5, boosted by rose and a tiny touch of tuberose; in fact this floral chord most reminds me of Patou's classic Joy, though the whole composition does not. The natural floral, velvety sweetness is complimented by a dab of creaminess, provided -from what I can smell- from a little vanilla and sandalwood. The creamy aspect is what makes Gold so lush, so nectarous, so very sinful. As the fragrance dries down, you're suddenly face to face with the revelation that the core structure is really that of a graceful woody floral with oriental elements: the scent becomes noticeably woody, with a downy, elegant polish that is clean and smoothed out on notes of lightly astrigent frankincense and myrrh with no smoke whatsoever and the enduring note of (rich and -again- similar to the old parfum edition in No.5) musk.The lasting power and sillage are phenomenal. 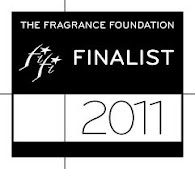 Top: lime, apricot, peach, lily-of-the-valley, neroli. Heart notes: rose, jasmine, silver frankincense, myrrh, rock rose flower, patchouli, orris, cedarwood and sandalwood. Base notes: ambergris, civet and musk. 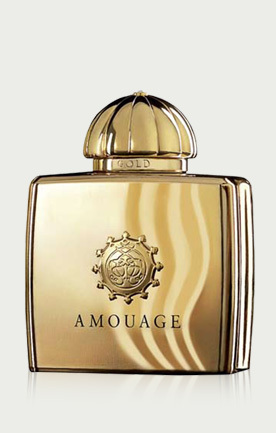 Amouage Gold currently circulates as Eau de Parfum (which is plenty really!) and extrait de parfum. Older versions included an Eau de Toilette. I find the EDP the most pleasing form. There is also a men's Amouage Gold version, which leans into the woody musk category rather than aldehydic, even though stating almost the same ingredients. Stockists include the Omani Amouage boutique, the boutique in London and online such as at Luckyscent. Thanks for your great review as usual. Have you tried the latest version? Luca Turin reports that it is now thinner and weaker, though still good, and closer, at least in style, to old Arpege and Caleche. I had smelled old Gold a few years back, and was literally floored by the wonderful aldehydic heft. I need to smell the current version. I love and own Gold man, quite different to my nose, more incensy-resiny, tuberose, and nice musky-civet overload. As for the "benefit" of creative direction, the past couple of years have seen a plethora of uninspired and overpriced Amouage fragrances that suggest that the artistic direction is towards the Creed model. 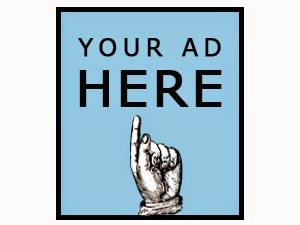 If the artistic model also includes watering down the old masterpieces, I'd rather go back to directorless times. I love Amouage Gold for women and it is on my buy list along with Lyric for women. Some of Amouage's offerings like Reflection and Honour has left me wanting more. I think that Amouage is wanting to go mainstream but I don't see them really 'making it' due to thier prices. I admit that my stash comes from a couple of years ago. Did they thin out that one? What a pity, if so. I have yet to familiarise myself with the men's, it was just passing testing and I need to really wear it for a few days in a row to profess any opinion. Lyric gets a lot of love. I need to find some more for myself too, it's a beautiful spicy rose. Reflection is sort of unusual for a Roucel, isn't it? What makes you say Amouage wants to fo meainstream? It just seems that the latest Amouage offerings have been a lot like the whole Estee Lauder or Calvin Klien line. It just makes me wonder if they want to be a household name or do they want to be uber exclusive and expensive. Ah, you mean because they keep multiplying? That's true! I really don't think they're aiming at mainstream positioning (as in business position in the market), though, as they always emphasize the Omani tradition and they have a rather limited distribution. Unless you're referring to quality comparisons and I misunderstood.